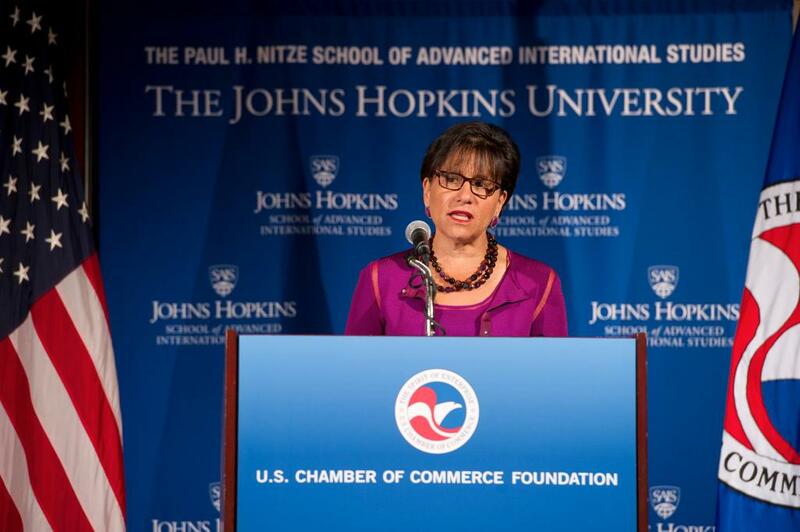 To wrap up her visit to Japan, Secretary Pritzker joined U.S. 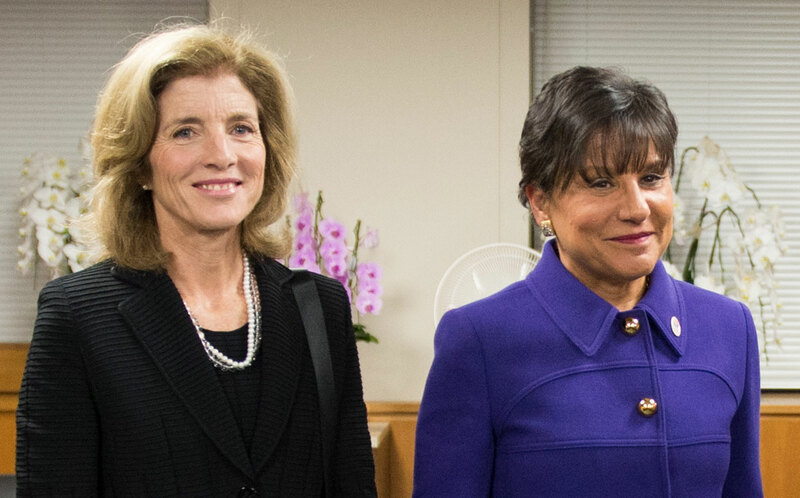 Ambassador to Japan Caroline Kennedy and other female business leaders for a meeting over tea, to discuss government policies and best practices to overcome barriers to women’s full economic empowerment. Since assuming office in December 2012, Prime Minister Abe has embraced "Womenomics," the understanding that the advancement of women in a nation's society directly and positively impacts its economic growth rate, as fundamental to boosting the country’s economic potential. According to some market analysts, Japan could expand its workforce by $8 million and increase its gross domestic product as much as 14 percent by raising women’s employment level to the same level as men. Despite these promising projections, Japan was ranked 105th out of 136 nations in the 2013 Global Gender Gap Report which was issued by the World Economic Forum and measures economic, political, education and health differences between men and women. The United States ranked 23rd. With this in mind, the governments of the United States and Japan share a common goal of increasing women’s economic participation and contributions. During the meeting, Secretary Pritzker expressed that she is encouraged by Prime Minister Abe’s current efforts to revitalize the Japanese economy. The Japanese government is working to set the standard by recruiting more women in government, increasing the availability of daycare and afterschool care, and encouraging the private sector to promote more women. Secretary Pritzker also shared what she has learned from American senior executives and from her own experiences as a business leader for 27 years. Women control two out of every three dollars spent in the world today, and Secretary Pritzker strongly believes that inclusiveness is a smart business strategy to achieve a competitive advantage, and that change must start at the top. Secretary of Commerce Penny Pritzker addressed the urgent need to boost our companies’ economic competitiveness by bringing more women into corporate leadership at the Global Conference on Women in the Boardroom, hosted by the Johns Hopkins University’s Paul H. Nitze School of Advanced International Studies (SAIS). Pritzker noted that this pressing challenge of addressing the of a lack of women in corporate leadership is nothing new in American business. Female advancement in corporate America is stagnant. Women hold less than 5 percent of Fortune 500 CEO positions. Women hold less than 17 percent of board seats at Fortune 500 companies. And 10 percent of these companies have no women on their boards at all. Women in corporate leadership roles is not solely a women’s issue. 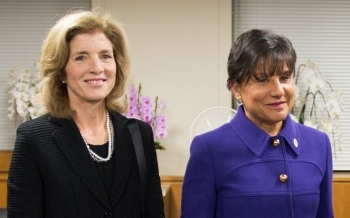 Secretary Pritzker argued that it is an issue of economic competitiveness and the presence of more women in the boardroom is critical to companies’ creativity, performance, and ability to thrive in the 21st century. Leadership with diverse and different backgrounds typically mean more creativity, fresh ideas, and better outcomes. Engage men in senior leadership to look outside their known circle of colleagues. Develop deliberate strategies for recruitment, including establishing a rule that a board’s nominating committee must consider at least one woman per opening. Review the impact of internal policies on female employees, including sick, family, medical, and maternity leave, then change then where appropriate. Ensure equal opportunities for mentoring and professional development. Measure and disclose company’s diversity statistics and couple that with action. Secretary Pritzker committed herself to highlighting the issue of women in the boardroom, tout solutions, and advance diversity. She promised to continue to call on leaders to act – in government and in business and she will highlight companies that set the example, recruit more women to join their boards, and take action to improve their reputations and their bottom line.